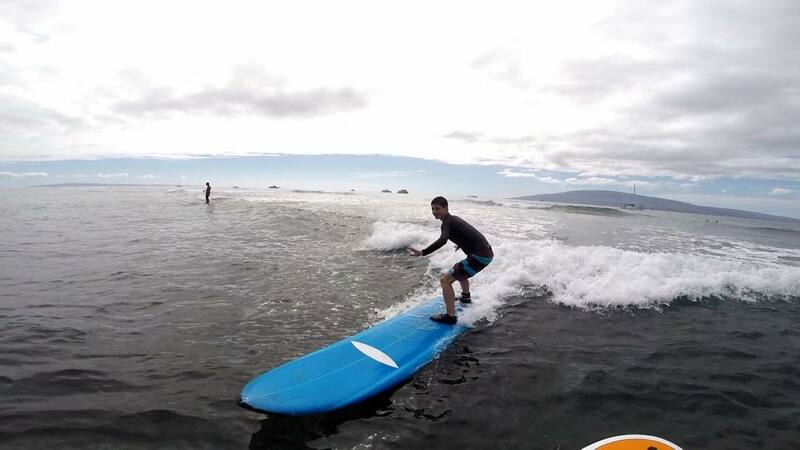 Our Surf lessons are designed for first time surfers as well as intermediate surfers looking to bring their surfing to a new level. 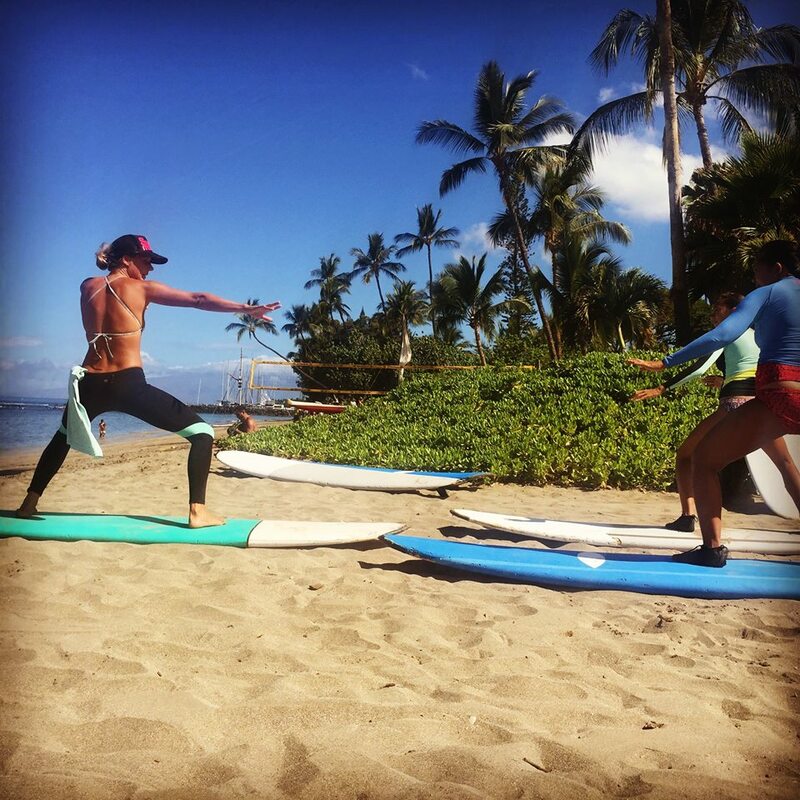 Beginner surfers will be introduced to surfing by building a strong foundation through the promotion of proper form and technique, in an atmosphere of fun and understanding; learn about water safety, ocean awareness and wave conditions; learn and exercise surfing etiquette; and ride gentle waves in warm Hawaiian waters. 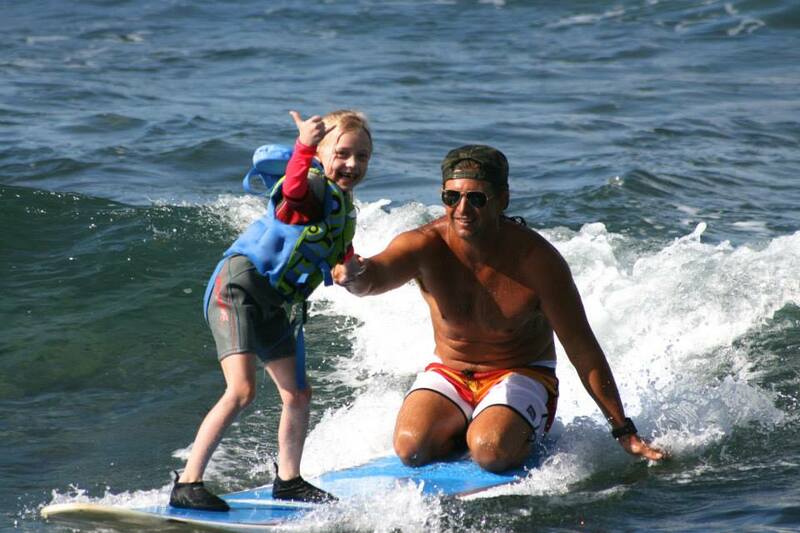 Beginner -Intermediate and Intermediate/Advanced surfers may participate in semi-private or private lessons. Concentrating on form, style, technique and reaching the goals of the individuals. Learn More About Intermediate Options. OPEN GROUP LESSONS consist of one instructor and up to 5 students. You will share your instructor with other students that you may not know, but who also signed up for a group lesson. SEMI-PRIVATE LESSONS consist of one instructor who is dedicated to the people in your personal group only. Available for parties of 2-4 people. PRIVATE LESSONS consist of one instructor and one student. This is the recommended way to surf!